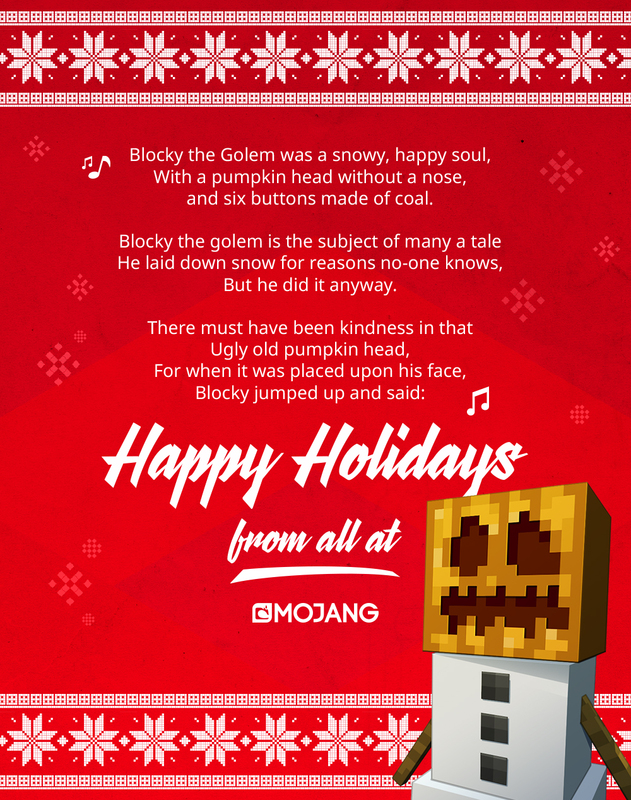 Happy holidays from all at Mojang! It’s been a busy, eventful, year but it’s finally time to sit back, eat loads of food, and play unhealthy amounts of video games. We’s like to take a moment to thank every last one of you for continuing to support us for all these years, and for inspiring us to make Minecraft into something truly special. Owen - @bopogamel and the rest of the Mojangstas.